How Much Do Other Sports Cost Compared To Cheer? 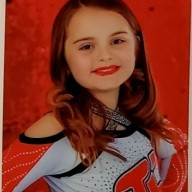 Discussion in 'Allstar Cheerleading' started by Sterling von Shimmer, Oct 25, 2018. AS or HS. I’ve literally never done anything else so I don’t know, but I don’t think people are spending 6K on track or volleyball. Reading about the costs of AS cheer has been a real eye-opener. It’s only been a few years since I left AS for HS after my fiancée got traded and we had to move. I’m shocked at how quickly AS costs have SKYROCKETED in that time. I’m wondering if there’s any comparison between us and other sports. I understand travel/clothing/shoe costs exist for everyone, but feel that cheer is getting so expensive that it’s quickly turning into a “status symbol” activity and I don’t like it. I don’t think money should prohibit athletes from pursuing their goals. I already see it at the (public) HS cheer level so I have to imagine the problem is exponentially bigger for AS. And if this problem doesn’t exist (or at least doesn’t exist as much) for other sports, it puts cheerleaders at yet another disadvantage. It almost feels price-gougey on the part of the EP/gym owner/Varsity/whoever is asking for all the cash this time. So anyway, if anyone did additional sports alongside cheerleading or have children who do, I’d be interested to know how the two compare. I have no children nor did I do any other sports, but I do hear my co-workers often complain about the thousands of dollars they're spending on their kids' sports. I particularly often hear complains about baseball. Travel teams are just that, so obviously they travel which has costs, and high quality gear for baseball is expensive as well. Additionally, it's the culture to do outside private lessons and training with one-on-one coaches similar to how it is in cheer. I used to be a high school teacher and I noticed basketball getting on that level as well. Many players were on both their school team, and a travel team and were expected to have the best and most trendy shoes. Golf is a quickly growing sport in my area and everyone already know how expensive that is. Unfortunately, I think youth sports are turning into a status symbol all around. Especially if a child is very good and hopes to play in college. You can't just play park district football as a child and expect to start on high school varsity, let alone get a college offer. Parents are expected to pay for all the extras to give their child the best chance at getting a college scholarship. I wrote a whole paper on this in university. Unfortunately the media & consumer culture portrays sport as 'equal for all' when it is in-fact the farthest thing from that. Think the cost of training, equipment, coaching, medical bills/physio, travel, tickets (as an athlete, or the family of the athlete), and then the cost of sport to the spectator (i.e. You want to go watch a Toronto Maple Leaf game in Toronto, Canada... be prepared for a $200-$2,000 ticket PER GAME. I wish I was kidding). There is nothing equal about sport & the whole industry as a whole has the public believing this illusion - and the consistent feel good story of 'the underdog' making it to the big leagues. Sports are expensive at all levels, until you reach the pro level. However countless sociological studies have proven that athletes with more economic means will almost exclusively have the opportunities to reach that 'pro level' versus their lower economic counterpart. We don’t dance competitively but have friends and family who do. It’s incredibly expensive due to travel, choreography costs, costumes... And here in Canada, hockey can be very $$$. There’s constant pressure to pay for more training, coaching, travel. Equipment is expensive, especially if you’re a goalie. Hockey academies are a thing here, where your kid goes to a $$$ private school to play hockey for a large part of the day, interspersed with some school learning. CP's 8-year-old little sister plays "travel" soccer. They don't travel that far, max 45 mins. Practice twice a week with real coaches, 1 or 2 games on the weekend, 3 or 4 tournaments. Club fees are around $1200, adidas gear for games & practice $200, tournaments $250. No hotel costs at this age, tournaments are local. So total for the year $1650. About half compared to cheer. But I can understand cheer is more, they have a whole building to pay for, not fields owned by the city. I actually think our cheer costs are reasonable so I guess we're pretty lucky! It’s not just cheer. Do a google search on youth sports costs. There are tons of articles on what the average American family spends on sports, and also on what it’s doing to youth sports (spoiler: It’s ruining youth sports.) I remember reading some article looking into US soccer after the US men’s soccer team didn’t qualify for the World Cup, and it was ripping into how soccer has become an elitist sport because it’s too expensive, and basically how that’s ruining soccer in America. It’s a real problem And due to the keeping up with the Joneses mentality, it’s not something that is going to go away easily. Where I am from, if Boys have a summer bday then they r held back for sports !!! A lot of $$ spent on private lessons also! All sports can cost alot of $$! Crazy what some parents will do or spend on their kid. Gymnastics is equally expensive, and often more time consuming. Same with figure skating. CoachTamara Slow your roll, Sparkle. We have looked into both competitive cheer and dance for my daughter, and I think the biggest difference to me is the competition fees. For dance, competitions are $45ish and admission is free. They have high costs in other places of course, and as a previous gym owner I see many areas they are up-charging and making money, but it's still significantly lower than cheer at the beginner level. But...how? I’m not doubting you, but I guess the disconnect for me is the “beauty” expenses of cheer (and other performative sports like gymnastics, dance, figure skating, etc.) that other sports don’t have to worry about (makeup, costumes, hair pieces). That, for me, is what leads me to believe cheer is more expensive than anything else. Assuming travel/uniform/shoe/training expenses are more or less equal for everyone, what kind of costs could other sports possibly incur that would make them break even with all the performative costs of cheer? Sports equipment is provided unless you buy your own to practice on your own time, and how much could a baseball bat/basketball/tennis racket possibly be? This might be an extremely narrow-minded view of things. Like I said, never done anything else. But either way, costs are massively out of control. I don't have specific data, but my understanding is the competitive travel cheer is above average in terms of cost compared to all select/travel team sports, but not at the top. I believe the top costs were for lacrosse, hockey, and alpine sports (skiing, etc). More individualized sports can be significantly more expensive (elite gymnastics, etc.). Obviously, those costs vary significantly from area to area, club to club, and how much those teams travel. School or rec teams tend to have significantly lower marginal costs, as they typically get significant funding either directly or indirectly from taxation. Sports equipment is provided unless you buy your own to practice on your own time, and how much could a baseball bat/basketball/tennis racket possibly be? You really think parents are happy with the average sports equipment provided by teams? It's that whole keeping up with the Jones' thing. My brother plays baseball. He's in his 30s and STILL has to have a new $500 bat every season. Nevermind the different gloves for the different positions. Sorry...where?! My 4yo just finished his first session of tball and the only thing provided was the tee and practice balls, and the coach bought those herself. We had to buy a bat, glove, helmet, uniform, and athletic shoes. He didn't have to have cleats yet and we stupidly didn't buy a bag. I think I paid about $100 for all of this getting the cheapest options at Academy because like I said, he's 4. Bats and gloves can run $200+. Not including private lessons, batting cage, catchers equipment, hotel costs, etc. that parents pay for at the higher levels. And just like competitions, parents don't get in free. It is cheaper entry than cheer, at least. ETA: "just use your hands"?!? Do you know how fast those guys can throw a baseball, and how much it hurts to catch with your bare hands?! ?